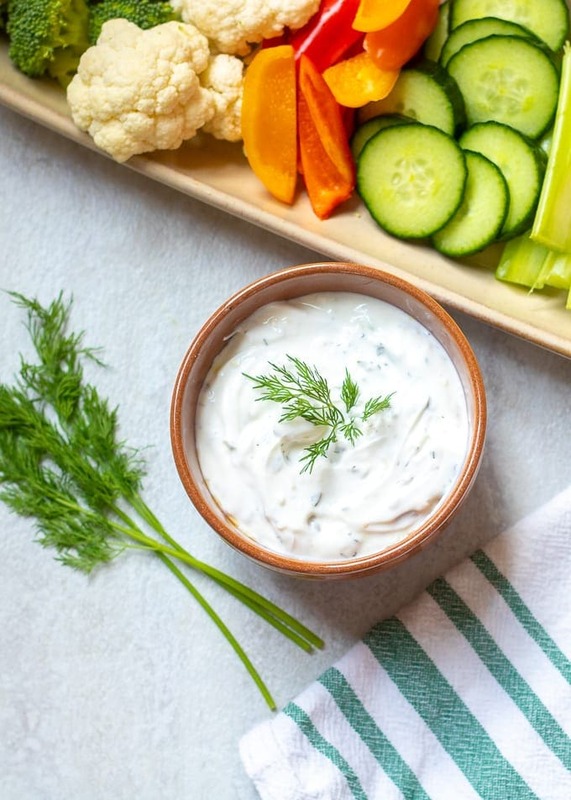 This easy dill dip comes together in less than 5 minutes and is a creamy, flavorful dip perfect for veggies, crackers, bread, chips, or as a sauce for grilled meat. This recipe for dill dip has a lightened up and decadent version perfect for anyone! 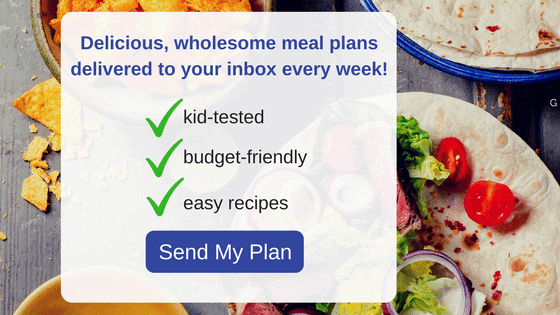 Looking for more party perfect recipes? Be sure to check out Bacon Wrapped Dates, Wonton Taco Cups, and Mini Cheesecakes. Growing up, I spent many summer holidays at the lake with my extended family. And those gatherings were all about my families favorite recipes. We always had my Papa’s Baked Beans, my aunt’s Homemade Brownies, my mom’s Pasta Salad, and this Dill Dip. Friends, this creamy dip was always a favorite of mine. And it is a MUST at every party for me still–so delicious! This creamy dip is made with just a few simple ingredients, but they are magical and pair perfectly with vegetables (and crackers, chips, bread, etc). My mom always said it was a guaranteed way to get us kids to eat our veggies. Hey some kids like ranch, we liked dill dip. Try this dip and you will see why! Seasoned Salt–this is key as it adds so much more flavor than regular than table salt. Mix all the ingredients together–I know, easy, peasy! Dill Dip is BEST after refrigerating for at least 1 hour, but sometimes I just can’t wait! My recipe for dill dip is the classic recipe from my Papa. However, I love to make this dip healthier by using Greek yogurt in place of the mayonnaise. 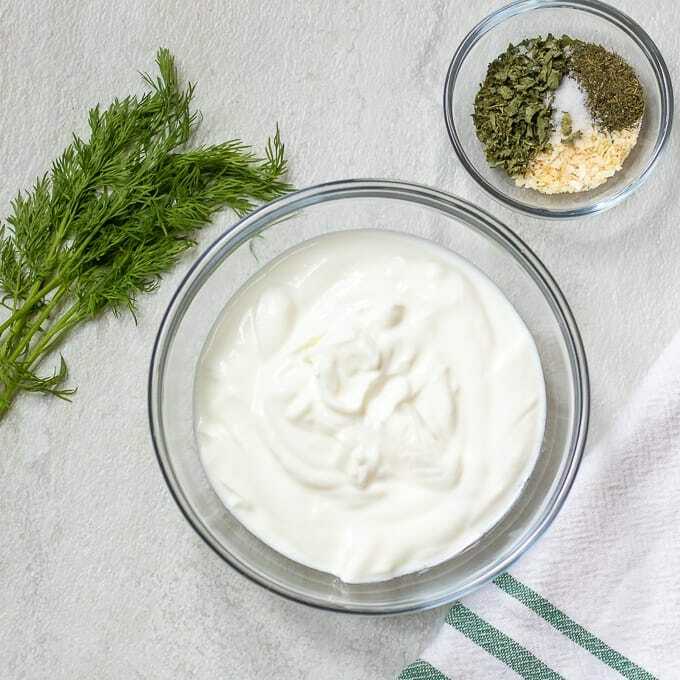 The dip is still just as tasty as the original, just minus a few calories and grams of fat–and without the mayo, this Dill Dip is egg free as well. Homemade dill dip will keep in your refrigerator for up to 5 days, however, I find it is best after 3 days. Be sure to keep this dip cold when serving, to protect bacteria from forming! You don’t want to leave this dip (or any dip made with dairy products or mayonnaise) out for longer than 1 hour at a time at room temperature. What I like to do is nestle a serving bowl in a larger bowl that has been filled with ice. Fill the serving bowl with the dill dip and change ice as it melts–then dip away without worry! Mix together spices, or use 1 recipe Dried Dill Seasoning. Add dried spices to yogurt and sour cream and mix well. Refrigerate for at least 30 minutes before serving. Dill Dip will last in refrigerator for up to 5 days. Seasoned salt, so brilliant! It really elevated the flavor and I am just obsessed! I love your recipe, I’ll be making it again!